Las Vegas is an ideal getaway for girlfriends. You wouldn’t have to go far to have a great time. There are several activities to keep yourselves busy with. At the strip alone, hotels and casinos fill the four-mile stretch. You can find entertainment anywhere, 24 hours a day. Bonus for you if you love playing casino games because Vegas is the ultimate gambling arena. Here, you are given the opportunity to break free from your everyday routine and create lasting memories with your best pals. So what can you do while in Vegas with your girls? Here are few tips. Soak up the sun and get a massage. Imagine you and your friends sipping martini by the pool, or merely feeling the sun on your skin and laughing your hearts out together. This is a picture of relaxation at its finest and is one of the many activities you can enjoy with your girls. Another is getting a spa service. Be cautious though. You might want to go get a massage first, and not go there drunk. Nevertheless, make sure to include these two things in your itinerary. This is especially beneficial if it is your first time in Vegas. Casinos are within your reach. Walking will get you to your destination. Just do not forget to put on comfortable pair of shoes. The area is more often busy than not, that is if there was ever a time it had been quiet there. The bright lights and the friendly crowd makes you feel secured navigating the place with your feet. The buddy system has been a common safety tip among travellers, which also happens to work in Vegas. No one should be left alone anytime of the day the group is going out. For one, casinos in Las Vegas are designed to be confusing. One can easily get lost finding his way out of the gaming area. So beforehand, divide the group into pairs. It also pays that you let someone in the group know where you are heading. With the loud noise in casinos, placing the ringers to maximum volume wouldn’t do much help. Take part of the nightlife. Go check out bars, talk to locals and meet strangers along the way. Find out ahead of time if a certain dress code is followed. You do not want to be denied access only because your outfit doesn’t comply to the rules. Overspending is a sin common among Vegas tourists and travellers’. Avoid committing the same; go home with your savings intact. Refrain from using your credit card when you’re there as you might only incur unnecessary charges. Transact using cash as much as possible. Using plastics or virtual mode of payment might trick you into thinking that you still are on the budget you’re trying to keep with. Set a gambling and shopping budget. You do not want to spend the next year or couple of months playing only free mobile casino games because you’re too broke to even roll it out on online slots. While it can get so thrilling at the Sin City, note that it is essential that you be able to take adequate rest to recharge your mind and body for the busy days ahead. You do not want to be in Vegas for a rare trip with friends, but not feeling well that you need to stay at the hotel. Take everything in moderation. Drink, gamble, let loose somehow, get crazy but not the kind of stupid you’d regret afterward. Enjoy your trip to Vegas girls! Gray is thankful that on her first visit to Vegas, her friends weren’t first-timers like her. It made the trip a lot easier, all she had to do was practice playing using casino mobile. Some are hesitant to go to Vegas because they hate gambling, nor they are interested in drinking. They just do not find the Vegas strip appealing. But not everyone that goes to Vegas, and loved it there, are fond of casinos. They, however, made it a point to explore past the hotels and resorts. I can’t say they went off the beaten path but there are just several things that you can do outside of Vegas. Yes, it’s easy to get stuck around pools and the gaming area, not noticing the time passed by. And next thing you know, you need to take your flight out of Vegas. If you’re looking to go to Vegas this year or anytime soon, make it a vow to see more that the place offers more than the glitz and glamour it is always associated with. Do try checking these places out and you might just appreciate Vegas but not as a gambling mecca it is famous for. Declared as a UNESCO heritage Site on October 24, 1979, and a treasure for geologists, the Grand Canyon is among the sites near Vegas that is worth visiting. The rocks are a billion years old and is continuously transforming. There are several companies offering day trips to this place. You can also rent a car and drive by yourself which is around five to six hours. The commute no doubt consumes a lot of time. Chances are you will not be able to stay that long at the Grand Canyon. But if you aren’t sure when you can get the chance to see this again, then the site is going to be worth an addition in your Vegas itinerary. Found on the Black Canyon on the Colorado River bordering Nevada and Arizona states, Hoover Dam is around an hour travel time from Las Vegas. If you are a history buff then you will love touring this place. 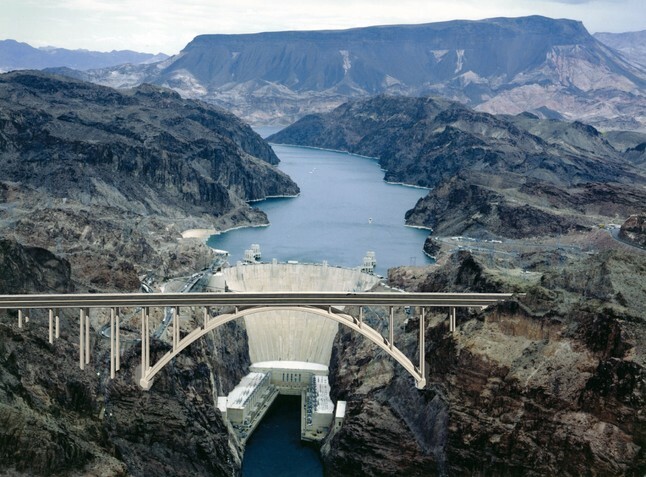 Aside from the scenery, day tours also include a trip to the historical collection of the hoover dam – news clippings, museum items, historic and modern photographs, information about the construction and operations of the dam. There are also plenty of opportunities to take pictures around, although those who are afraid of heights might need to stay a little far back. If you are the type who loves outdoors then you should not miss this spot in Nevada. It’s a favorite hiking and rock climbing destination. Managed by the Bureau of Land Management and is protected as Nevada’s first National Conservation Area, the Red Canyon Rock is one of the state’s gems. Rock formations here that date back 600 million years ago. You can arrange for a day tour, drive the loop, or rent a bike, in case you’re an experienced mountain biker. The whole canyon is ringed by a road and you can find a parking lot where you can drop your things leave your car as you begin your hike. Note as well that summer temperatures can however get so hot so it’s best that you go there either early or late in the day. This place is ideal to visit all year-round. With the wide array of activities that people can try while they are here, no doubt, Lake mead is a recommended stop in Vegas. This is the Lake that Hoover Dam built, and is where three desert ecosystems meet – Sonoran, Mojave and Great Basin. It is no longer surprising that this place attracts hikers, swimmers, wildlife photographers, fishermen and yes, even sunbathers. If these suggestions still do not interest you, then I no longer know what does. So when you get there to Vegas, do not focus on the Strip alone. Wander and do more. N. Gray is grateful for her friends who introduced her to other attractions in Vegas aside from hotels and casinos. Otherwise, she probably would have only checked how online roulett and other games work in land-based casinos. 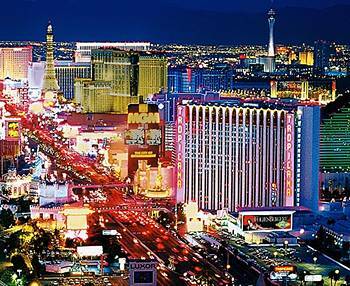 Gambling has always been a trademark of Las Vegas as a tourist destination. The activity has become more of a strength than a weakness for this place known over the years as the sin city. This does not mean though that your visit in Vegas should be limited to hanging out in casinos. Aside from gaming, there are also several things you need to look into so you can make the most out of your trip here. Losing is part of gambling so we cannot say that your trip to Vegas is a fail when you did not win cash prizes. It’s more about being able to spend your funds wisely so you do not leave the strip empty-handed. To avoid losing big at the gaming tables, it helps that you make it clear to yourself your purpose of gambling. If you are like other travelers who are only spending a few a day at the sin city, and would like to experience more of the Vegas than gambling in casinos, then never spend all your budget gaming. Also, going there with a goal to earn a fortune overnight might only leave you disappointed. Place bets when you’re already there but be cautious of your bankroll. What are you looking for in a hotel? Are you going to Vegas with the kids? Are you hanging out with your friends? Are you hoping to meet anyone you can spend your short trip with? Find a hotel that satisfies your needs. If you are out with the kids, then it’s best that you choose a kid-friendly establishment complete with amenities that young ones would appreciate. More so, check out those that offer budget-friendly rates since you are going with a group. Check out your options way before you push through with the trip. While there are several hotels you can choose from at the strip, it really would be double the hassle when you’re already tired and sleepy after a long day but still will have to evaluate lodging options. In Vegas, cocktails and beers just never run out. You could only imagine it’s their version of water there. With that, be cautious especially if you really are not a heavy drinker or are allergic to alcoholic drinks. You need to be able to go home by yourself, or at least be able to find your way out of the gaming area. You need to be able to think clearly to avoid betting mistakes, or prevent the house from increasing advantages over players. Casinos supply customers with alcohol for a purpose. So do not just focus yourself to drinking while playing. Casinos are also an ideal venue for socialization. Once you empty your bankroll, then you can switch to getting to know people around and meeting new friends perhaps. Weather can be another issue when you’re in Vegas. During summer, the heat is just scorching. You will need to bring water with you as you walk down the streets or go on a hike. During winter, meanwhile, you will need to cover yourself up in layers or you might be bitten by the frost. Conduct research on the best season to go to Vegas so the weather would not have to interfere with you having fun. Gray finds Vegas even more interesting when she gets to enjoy kostenlose games out of her friends’ generosity.